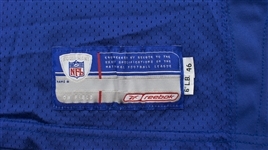 Presented is a New York Giants home jersey worn by running back Tiki Barber during the 2002 NFL season. 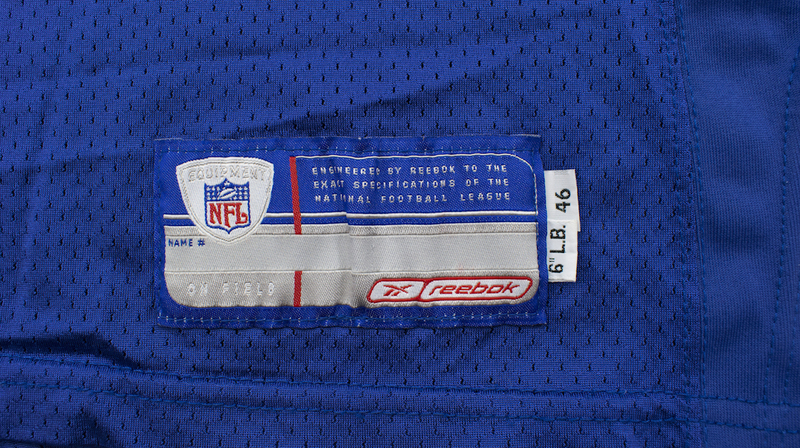 The Reebok jersey is tagged "02-46" indicating the year of manufacturing and the size of the jersey. The jersey is signed and inscribed boldly in blue ink. The garment shows incredible wear with face mask transfers and multiple repairs on the right shoulder. Tiki is one of the most underrated running backs in NFL history as he quietly amassed over ten thousand career rushing yards.